Elli Studios in Pythagóreio is an apartment building. 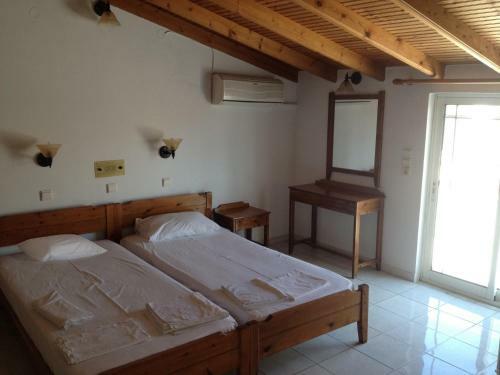 The family-run Elli Studios is located in Pythagoreio of Samos, within 200 metres from the beach and 100 metres from restaurants and bars. 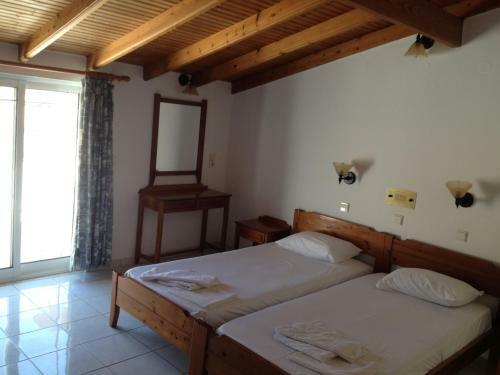 It offers self-catering units with free WiFi and balcony. Fitted with marble floors and beamed ceilings, the air-conditioned studios of Elli offer views over the Aegean Sea, the mountain or the castle. It features a kitchenette with fridge and cooking hobs, and a bathroom with shower. 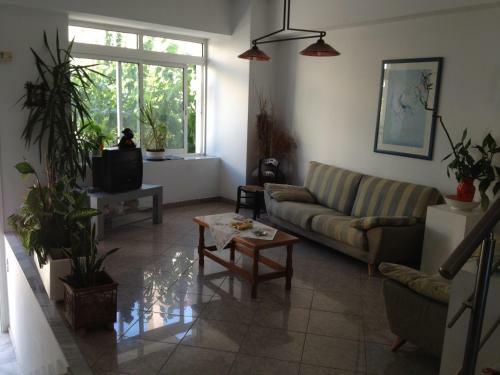 Guests will find a mini markets just 20 metres from the property. Samos Air...port is at a distance of 2.5 km and Vathy Town and Port are 12 km away. Psili Ammos Beach can be reached within 7 km. Free public parking can be found nearby. 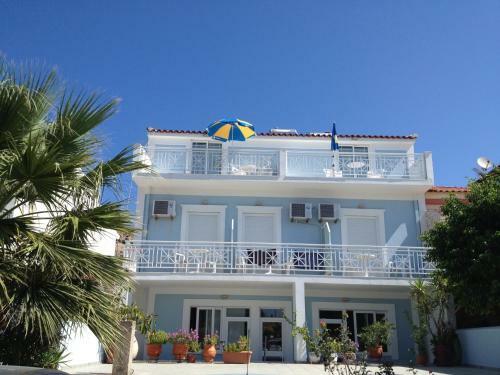 The family-run Elli Studios is located in Pythagoreio of Samos, within 200 metres from the beach and 100 metres from restaurants and bars. 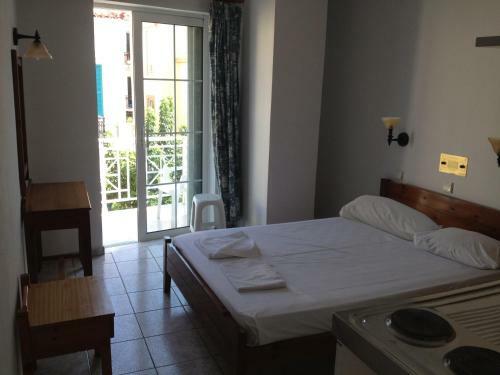 It offers s...elf-catering units with free WiFi and balcony. Fitted with marble floors and beamed ceilings, the air-conditioned studios of Elli offer views over the Aegean Sea, the mountain or the castle. It features a kitchenette with fridge and cooking hobs, and a bathroom with shower. 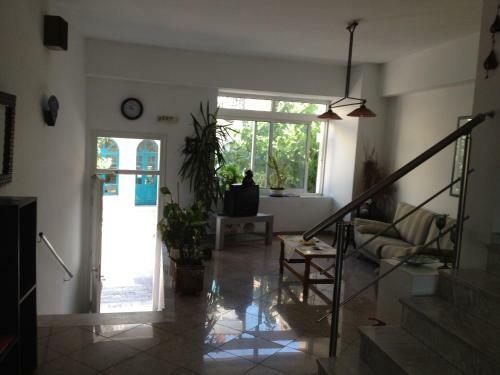 Guests will find a mini markets just 20 metres from the property. Samos Airport is at a distance of 2.5 km and Vathy Town and Port are 12 km away. Psili Ammos Beach can be reached within 7 km. Free public parking can be found nearby. When would you like to stay at Elli Studios? Please inform Elli Studios in advance of your expected arrival time. You can use the Special Requests box when booking, or contact the property directly with the contact details provided in your confirmation.